Click picture to play – opens in new window. Caleno custure me, sung by Alfred Deller with Desmond Dupré playing lute. Callin o custure me first appeared as a broadside ballad, entered in the Stationer’s Register in London on 10th March 1582. The broadside has not survived, but A Sonet of a Louer in the praise of his lady. To Calen o Custure me: sung at euerie lines end appeared in A Handefull of pleasant delites by Clement Robinson and divers others, published 2 years later in 1584. This is the only version of the lyric to survive, so it is impossible to know if this replicates or differs from the words of the earlier broadside. In Handefull there are 7 verses, each consisting of 3 rhyming couplets which replicate the entire tune in each couplet. A listener would therefore hear Handefull’s 7 verses as 21 verses. In places, this makes little musical or grammatical sense, as when the end of each line is broken by Calen o Custure me the flow of meaning is easily lost. Since no previous words are extant, it is not possible to know whether this lyrical anomaly is due to the unskilful replacement of older words with new, or whether the song was devised this way originally. The title/refrain is used to comic effect in William Shakespeare’s Henry V, written 1599–1600. The setting is the Hundred Years War, a series of conflicts fought from 1337 to 1453 between the English House of Plantagenet and the French House of Valois for control of France. In Act 4, Scene 4, it is 1415 and English soldier Pistol is on a battlefield with his French captive. When Pistol addresses the soldier in English and the soldier replies in French, Pistol, unable to understand, responds with “calmie custure me”, and then proceeds to prove his failure to understand everything his captive says. Nym, Bardolph and Pistol in Shakespeare’s Henry V, played left to right by Jacob Dresch, Carl Wallnau and William Zielinski. Pistol: Qualtitie calmie custure me! Art thou a gentleman? What is thy name? Discuss. Pistol: O Seigneur Dew should be a gentleman. Perpend my words, O Seigneur Dew, and mark: O Seigneur Dew, thou diest on point of fox, except, O Seigneur, thou do give to me egregious ransom. The title and refrain – variously spelt Callin o custure me, Calen o Custure me, Caleno custure me, Callino Casturame, etc. – is not the typical mouth music sometimes found in traditional songs of Ireland, England and Scotland – “whack fol me daddy o”, or “tol de rol lol lol, right fol lairy“, etc. It has often been claimed that this is Anglicised Irish Gaelic, and that therefore this was originally an Irish song. If this is correct, and the surviving words are original or something like the original, it is a macaronic or bilingual song. A well-known example of a macaronic English/Irish text is the traditional song, Siúil A Rún / Shule aroon (seen in this video played by Clannad), which likewise has had Irish speakers attempting to correct the corrupt Anglicisation to reclaim the original, with different possible solutions. 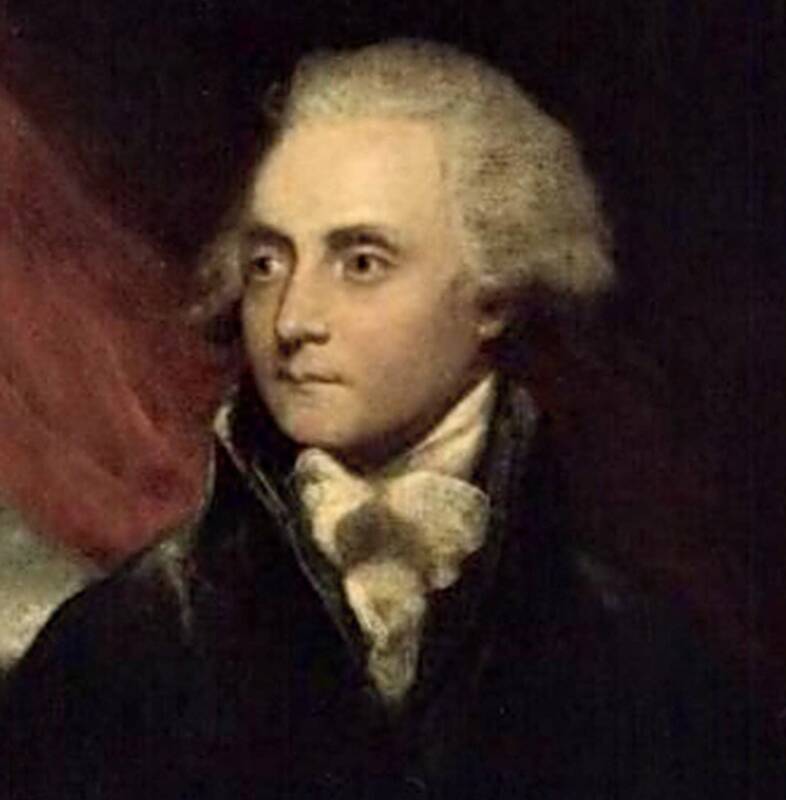 Irish Shakespearean scholar, Edmond Malone, 1741–1812, painted by Sir Joshua Reynolds. Dublin-born scholar of Shakespeare, Edmond Malone (1741–1812), writing in 1790 of the play, Henry V, identified the phrase “calmie custure me” as Irish Gaelic, drawing attention to the song in A Handefull of pleasant delites. In 1953 Professor Gerard Murphy claimed to identify it specifically as the song, Cailín ó Chois tSiúre mé – I am a girl from beside the [river] Suir – one song title among others mentioned in an Irish poem, Mealltar bean le beagán téad – A woman is wooed with a few strings – found in a late 17th century manuscript from Fermanagh. While the song mentioned in the poem and the earlier song in England sound similar and may be the same, this cannot be shown definitively. Different songs sometimes have similar or identical titles, and a title alone does not give us contents for identification and comparison. For example, John Playford’s 1667 publication, Catch that Catch Can, includes a four part song called An Irish Tune which begins “Callino Callino Calino Castore me”, but beyond these words it has no musical or lyrical similarity to the song under discussion. (For the entire lyric we need only to add “Eva ee, eva ee, loo, loo, loo, loo, loo”.) The Fermanagh poem is 100 years after the English broadside so, if the poem does refer to the song we are looking for, we gain no additional information about its vintage, only that it was known in Ireland in the late 17th century. But even this claim cannot be securely made without more evidence than is currently available for secure identification. There have been other attempted corrections of Calen o Custure me back into Gaelic. William Henry Grattan Flood suggested Cailín óg a stiuire me, meaning ‘my dear little girl’. H. E. Rollins thought the original title was Cailín og a stuair me, rendered Colleen oge astore by Samuel Lover, meaning ‘young girl of my heart forever’ or ‘young girl, my treasure’. There could be further suggestions, but all would be conjectural. Only Professor Murphy’s phrase has a supporting textual inference, and (I am told by Irish speakers) it is the most likely fit as it is the only suggestion to follow the rules of Irish syntax, but this is not secure evidence of an original Irish title. A print from 1663-1674 of the broadside, A pleasant Song made by a Souldier, now in the Pepys collection. Broadside ballads began to be produced and sold in the mid 16th century and became hugely popular. The words were printed but the melody was not; instead it was named with the words, “To the tune of”. It became common practice for a melody to change its name by association. The tune for Greensleeves, for example, was known by multiple names according to the titles or first lines of other ballads for which it was also used, in this case becoming known as the (bonny) Black-Smith; or Which no body can deny; or In Rome there is a most fearful Rout. Claude M. Simpson’s impressive work, The British Broadside Ballad and Its Music, cites only one other song for which Calino was used: A pleasant Song made by a Souldier … To an excellent tune, called, Calino. Surviving copies are now preserved in the Pepys and Roxburghe broadside collections, variously dated between 1630 and 1674. Bruce Olson has shown that Simpson had passed over another title by which Calino was known: In summer time. The complicating factor is that In summer time was the title of several different broadside melodies in six distinct stanza forms, one of which was Calino. A pleasant Song, made by a Souldier …. To the tune of Calino was first entered in the Stationers’ Register on 24 April 1588, as “A Sweete new songe latelie made by a Souldier, and named it the falle of follye.” It is the same ballad as A pleasant Song, made by a Souldier. The first line, “In Summer time when Phoebus rayes”, gives the alternative tune title on other broadsides, identifiable as those which name In summer time as the melody and also fit the Calino stanzas. Thus identified as In summer time, it is clear that the Calino melody was one of the most popular broadside tunes of the late 16th and all through the 17th century. The dates of four examples of the large number of ballads naming this particular In summer time can represent its longevity: A merry new Song how a Bruer meant to make a Cooper cuckold, c. 1590; The Fatal Fall of Five Gentlemen, 1648; The Godly maid of Leicester, 1663-1674; and The Happy Damsel, 1693. The broadside melody was arranged for lute in three manuscripts: (i) that of Thomas Dallis of Cambridge, dated 1583, now in Trinity College Library, Dublin; (ii) Dd.3.18, c. 1585-1600, a professional manuscript of lute duets and lute parts for mixed consort, copied by Mathew Holmes, Precentor and Singingman of Christ Church, Oxford, from 1588, with the same role in Westminster Abbey from 1597; (iii) the private pedagogical English lute manuscript, 408/2, c. 1593-1603, now in Trinity College Library, Dublin. There were two simple arrangements made for cittern in Mathew Holmes’ solo cittern manuscript, Dd.4.23 (one of them by the lutenist and cittern player, Thomas Robinson), and a lovely arrangement with divisions for cittern in Matthew Otley’s handwritten cittern book (US-CA Mus.181), begun c. 1600 and added to after 1650. The Fitzwilliam Virginal Book, a large anthology for keyboard including material from c. 1562-1612 by John Bull, Orlando Gibbons, Giles Farnaby and others, includes William Byrd’s variations on the Calino melody. Click picture to play – opens in new window. Callino Casturame by William Byrd, played on virginal by David Clark Little. We have seen that there are many testaments to the popularity of the song or its melody in England: broadsides; a song book; the reference in Shakespeare’s Henry V; lute, cittern and virginal arrangements. Secure evidence of an original Irish song from which the ballad or the phrase was derived is completely lacking: there is no unambiguous evidence of the song or its melody used in Ireland until 1892. The Irish poet William B. McBurney, writing under the pseudonym Carroll Malone, had a poem published in The Nation on 4th January 1845. The Croppy Boy recalled the Uprising of 1798, croppy being a word used for those insurgents. No melody was indicated either in The Nation, or in The Ballad Poetry of Ireland (fifth edition, edited by Charles Gavan Duffy), published in Dublin in the same year, nor in Samuel Lover’s The Lyrics of Ireland, published in 1858. Samuel Lover includes an undated poem by the anonymous “L. N. F.”, The Woods of Caillino, then a recent work which Lover describes having in his “possession in the handwriting of the fair and gifted authoress”, with the original title, Song of the Irish Emigrant in North America, to the air, The Woods of Caillino. This leads him, both under “L. N. F.”‘s composition and in the Appendix, to discuss the broadside Calen o Custure me and Playford’s Irish Tune, asserting the Irish origin of both songs with reference to commentators on Shakespeare such as Edmond Malone. He does so unconvincingly, stating unsupported suppositions as facts, for reasons set out in this article. Lover gives the four voices of the Playford composition and the broadside melody arranged for lute in the manuscript, 408/2 (erreoneously given as the William Ballet lute book, with which 408/2 is now bound in Trinity College Library, Dublin). Click picture (opens in new window) to hear Kevin McDermott singing Carroll Malone’s The Croppy Boy to (a slightly altered version of) the tune of Calleno, with Ralph Richey on piano. It may have been in Samuel Lover’s The Lyrics of Ireland that M. J. Murphy saw the tune for Calleno, which Murphy used as the melody for Carroll Malone’s The Croppy Boy in his National Songs of Ireland, 1892, on the understanding that it was originally an Irish tune. This, as we have seen, is by no means certain. Murphy’s use of the tune for Malone’s poem is the first concrete reference to the melody of Calleno being sung in Ireland. There are no indisputable historical references to the lyric. As if to serendipitously drive home the point made above about the dangers of identifying any song by its title alone, Malone’s Croppy Boy, which starts “Good men and true in this house do dwell”, is not to be confused with an earlier ballad of the same title, beginning “It was early, early all in the spring”. This earlier broadside has different words and a different melody to the song we are concerned with. The melody of this earlier Croppy Boy was later associated with two other broadsides that entered the oral tradition, Lord Franklin (about Rear-Admiral Sir John Franklin’s fatal voyage in 1845 to find the North West passage, a much-sought route through the Arctic) and McCafferty (about Patrick McCaffrey, an Irish recruit in the English army who, after a disagreement with his captain and a sentence of confinement, shot dead his captain and his commanding officer and was therefore executed in 1862). And, to drive the point home further still, some traditional Scottish Gaelic waulking songs – sung communally and rhythmically in time with beating newly-woven tweed against a surface such as a table to soften it – have repeated phrases that, to an English ear, sound very much like Callino Casturame, such as Chailìn òg an stiùir thù mise (Little girl, will you guide me) and Chailìn òg an stiùrmachaì (The helmsman’s little daughter). You can hear 12 recordings of such songs, collected between 1938 and 1965, by searching for Calen o on the Tobar an Dualchais website. Some writers have tried to argue for a connection between a supposed lost Irish original, the English broadside of 1582 and these Scottish waulking songs, purely on the basis of a few similar-sounding words nearly 300 years apart. Without access to a supposed original Irish song, with no links between the songs except for differently-worded but similar-sounding titles, with no evidence of the English song in the Irish tradition, and without any supporting evidence to link the song in question with Scotland, there is nothing to connect any of these songs. There is not one missing link in the supposed genealogy of Callino: every link is missing. To make an analogy, the line “There’s a bad moon on the rise” in Creedence Clearwater Revival’s Bad Moon Rising can be misheard as ‘There’s a bathroom on the right’. This doesn’t mean that Bad Moon Rising has any real connection with She Came In Through The Bathroom Window by The Beatles, or Mirror in the Bathroom by The English Beat, or Flushed from the Bathroom of Your Heart by Johnny Cash, or any other songs involving or implying bathrooms. The range of possible interpretations of Callin o custure me in the Irish language demonstrates that the current state of the words makes it impossible to locate an original Gaelic phrase with any certainty, if indeed one ever existed. It is possible that there never was an Irish original, that the phrase was an English ballad-writer’s non-Gaelic-speaking approximation of the sound of spoken Irish. If this was the case and understood to be the case at the time, then I’m sure Shakespeare’s audience would have found Pistol’s mangled attempt at speaking in a non-English language all the funnier. John Davies, The scourge of folly, 1611. Used by permission of the Folger Shakespeare Library under the Creative Commons Attribution-ShareAlike 4.0 International License. One remaining reference illustrates public recognition of the song, but throws no light on the linguistic origin of its title. In 1610, John Davies was licensed to print his work, first published in 1611, The scourge of folly. Consisting of satyricall epigramms, and others in honor of many noble and worthy persons of our land. Together, with a pleasant (though discordant) descant vpon most English prouerbes: and others. Davies has an epigram referring to classical Greek speech writer, Andocides (c. 440 BC–c. 390 BC). Which English people do no vnderstand. From Davies’ geographically unspecific reference to “Callino, come from a forraine Land”, it is not clear if Davies truly believes “the burden of the song” to be genuinely “forraine”. It is possible that, in his “satyricall” style, Davies used the song as an easily recognisable reference to a fictitious foreign language of meaningless syllable sounds “Which English people do no vnderstand”, spoken by those who themselves have no understanding, and that Davies and his audience knew this to be the original use of “Callino” in the broadside of 1582. Alternatively, it may be that Professor Gerard Murphy’s identification of the song title in the (later) 17th century Fermanagh poem with the song in England is correct (though this cannot be proven), and that the Irish phrase was Anglicised and corrupted in the surviving song because the broadside writer of its English words was borrowing an Irish phrase he didn’t understand. This interpretation can also be made of Davies’ epigram. If this is the case, “Calen o Custure me” divorced from its linguistic origin becomes, in effect, the musical semantic equivalent of “right fol lol de li de o”. It would be more satisfying, and certainly neater, to end with a definitive identification of the apparently Irish words, but without further evidence all we can say for sure is that “calmie custure me” in the mouth of Shakespeare’s Pistol is a reference to the song of that name registered 17 years previously in England; that it sounds like some phrases in Irish and Scottish Gaelic but cannot be securely identified as any particular phrase; that John Playford’s song of 1667, An Irish Tune, beginning “Callino Callino Calino Castore me”, indicates that Playford associated the phrase with the Irish language, but this is likely to have been based on nothing more than a knowledge of the popular song in England; that 100 years after the English broadside there was an Irish poetic reference to the title of a song with a similar-sounding name, but we do not have the song for identification; and that there is no clear and unambiguous evidence of the song in Ireland before the melody was taken in 1895 from an English lute book of c. 1593–1603, but plentiful evidence of its popularity in England in the 16th and 17th centuries. As we have seen, stating that songs from different sources are related or identical requires sufficient evidence, since unrelated songs with different words and tunes can carry the same title, the same melody can be known by different titles, and several phrases or titles in a language foreign to the singer can sound indistinguishable from one another. There is no doubt that “Callino Castore me” was intended to sound Irish: the presently unanswerable question is whether the song goes back to an Irish original or was an English creation from the beginning. Until new substantiating material is found for Callino‘s supposed origin we are left only with speculation, personal judgement and probability – and some variations on a lovely tune.